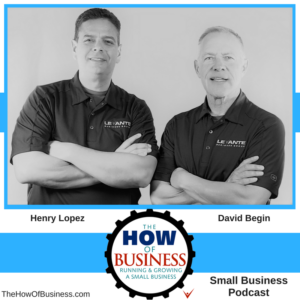 In this episode David Begin and Henry Lopez discuss the topic of fixing versus solving problems in our small businesses. Fixing usually deals with just the symptoms of a deeper and larger problem within your small business. The approach of looking for the source problem applies to many aspects of our business, from physical equipment to the people on our teams. Sometimes just fixing something is acceptable, but often we tend to avoid identifying and addressing the root problem because of time and money. Helping your team learn how to solve versus fix is also a challenge.